Yashoda Jayanti is observed in Phalgun month. It is the birth anniversary celebration of Maa Yasoda, the foster mother of Bhagavan Sri Krishna. The day of great importance at Dwarka, Braj, Vrindavan and Mathura. Yashoda Jayanti 2019 date is February 24. Yashoda, wife of Nanda of Braj, looked after baby Sri Krishna. She cared for Sri Krishna as his real parents, Vasudeva and Devaki, were in the prison of Kamsa. Some of the popular incidents in the life of Bhagavan Sri Krishna is associated with Mata Yashoda. They include Krishna showing Mata Yashoda the entire universe in his mouth and the famous incident of her tying Krishna to grinding stone. Yashoda Jayanti is annually observed on Phalgun Krishna Paksha Sashti tithi or the sixth day during the waning phase of moon as per traditional Hindu lunar calendar followed in North India. 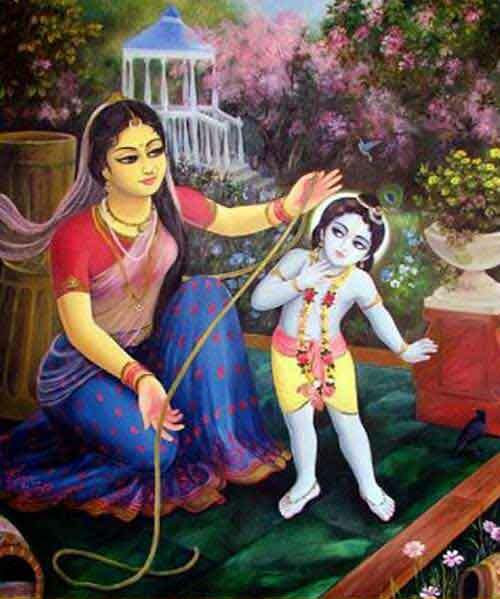 Who is the mother of Sri Krishna?